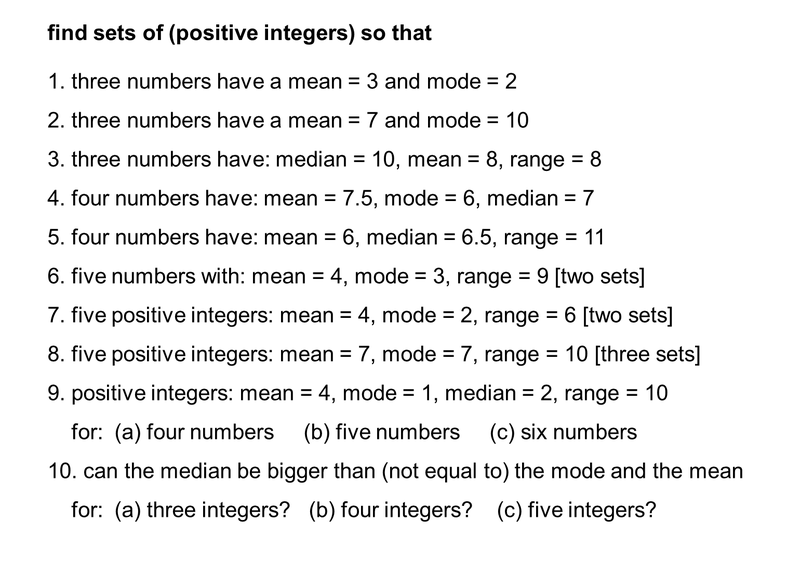 Here are some resources I use when teaching Averages. I find the word 'average' fascinating. Used in everyday language, and as a mathematician, I immediately think, "well... which average?" I always wonder this when entering an "average speed check" section on the motorway. Which seems to be everywhere in the north west now. 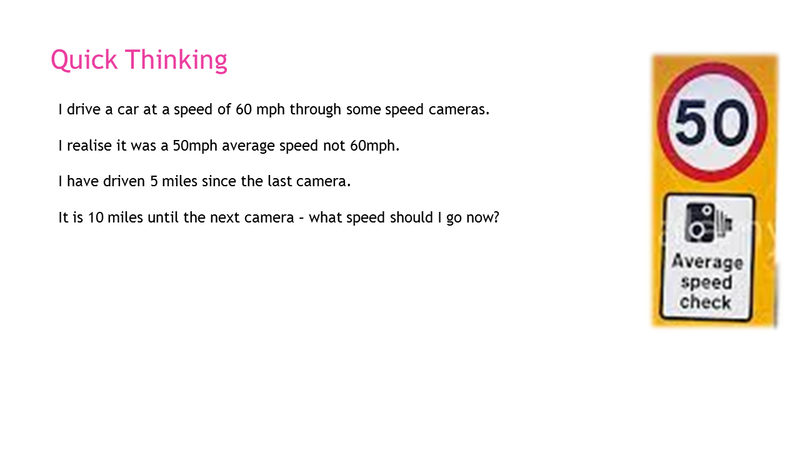 Here is an activity linked to Speed Cameras, and some real life application. It links well with SDT topics too. Here are a mixture of questions and projects including some that take longer than others. This last one I have used for nearly every class I have ever taught. Every time I have done it, boys have outperformed barring the odd outlier. I have also done this with a target Velcro game in class. If a big class, then can be used for mean from a table as well.